Photo used with permission of Sue Draheim. 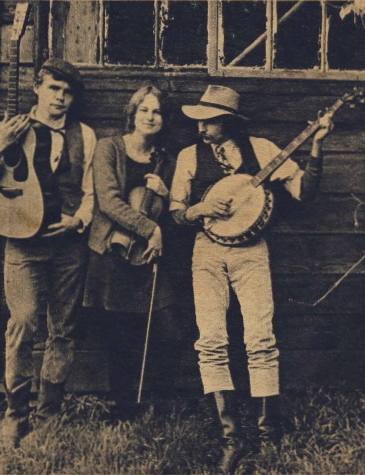 The 3rd San Diego Folk Festival was held at San Diego State College during the Spring of 1969. By the third festival things were going in several different directions. Some of the committee wanted to turn it into a pop folk festival; others wanted you name it: bluegrass, international, blues, etc. We wound up with a bit of all of the above. The guy doing our festival tapes took off with them, never to be heard from again. Booking by committee brought us first-time appearances by Mississippi bluesman Sam Chatmon, Fresno old-timey mandolin man Kenny Hall (photo, above right), singer-songwriter Mary McCaslin, Dr. Humbead’s New Tranquility String Band (with Will Spires, Sue Draheim, and Mac Benford – pictured above), and country songsters Jim Ringer and Ron Tinkler. 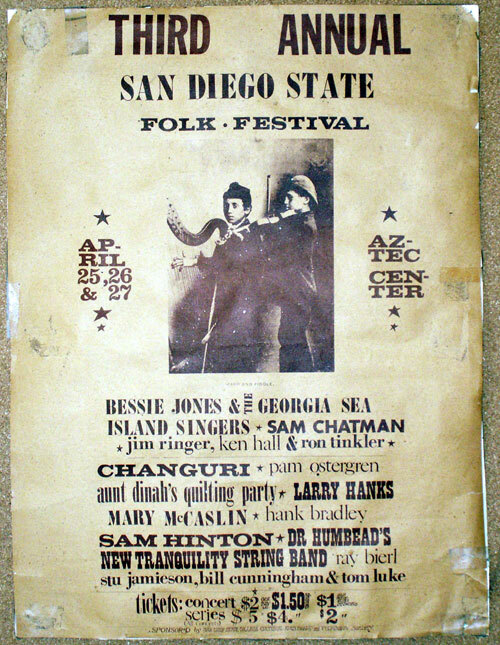 The festival, the first held in SDSU’s brand new Aztec Center, also featured bluegrass band Aunt Dinah’s Quilting Party, international group Chonguri, and returnees Larry Hanks, Ray Bierl, Hank Bradley, Pam Ostergren (who appeared in duet with Mary McCaslin), Stu Jamieson with Bill Cunningham and Tom Luke, Bessie Jones and the Georgia Sea Island Singers, and, as always, Sam Hinton. 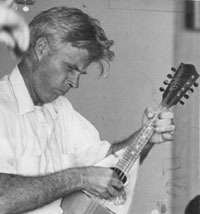 Click here to see a Poster from the 3rd San Diego Folk Festival. Dr. Humbead’s New Tranquility String Band and Medicine Show playing Goodbye Miss Liza Jane. Same, playing “Bully Of The Town”. Same, playing “Sally In The Garden”. Ray Bierl, with Dexter Fisher and Clark Powell, playing “Sadie, My Little Lady” and “What’s Made Milwaukee Famous, Has Made A Fool Out Of Me”. Hank Bradley, playing “Dear Okie” and “Richland Woman Blues”.